ABOUT THE BOOK : Hiding in the Darkness, a mysterious mastermind gambles on the weaknesses of the human souls to achieve his sole purpose : the destruction of the civilized world. 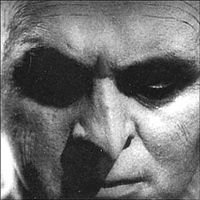 In five books and twelve movies, under many aliases, many disguises, Dr. Mabuse challenges Humanity. David Kalat investigates in one of the most interesting books ever dedicated to genre cinema. Uncertain times generate all kind of nightmares, but some of these beautiful dreamers which are litterary authors are given the ability to exorcize their fears of these troubled ages by translating the dark recesses of their visions through the creativity of their imagination : Moriarty, Fu Manchu, Fantômas... Mabuse, perils of their times, room 101 of their creators. Something wicked this way comes, and Norbert Jacques has seen it. From the ashes of a fallen empire, from the sins of a cardboard republic, in a country trying to recover from one of the most horrible wars, emerges Dr Mabuse der Spieler. Created by Luxemburg-born journalist turned author Norbert Jacques in 1921, Mabuse first terrifies millions of german readers of the Berliner Ilustrierten Zeitung in a five episodes serial for this magazine, then becomes a best-seller in hardback edition. « Dr Mabuse der Spieler (« Dr Mabuse the Gambler ») depicts a criminal Führer who exploits social decay to his private advantage » (David Kalat, The Strange Case of Dr. Mabuse, Page 14). Everything is said and all ressemblances between the « Man without a Face » and a Man with a mustache on his face is the result of circumstances... or prescience. Why « Dr. », by the way ? « Germany knows well from countless experiences the effects titles like Doctor, Professor or Count can have on trust and respect. How often have people hung such titles like a curtain in front of certain truths they don’t want to have recognized » explains Jacques in 1928. There’s someone behind the curtain, pulling the strings, and this is not the Wizard of Oz.